The Oxfordshire CAMHS Partnership is a new and innovative way of delivering mental health services and accessible support, outside traditional mental health services structures, to the young people of Oxfordshire. We’ve built a unique partnership with local leading third-sector organisations spread across the county o increase the options open to local young people. The partnership is supported, managed and funded directly by CAMHS. Led by the charity Response (who have a co-ordinating and bridging role between the third sector organisations in the partnership and CAMHS), a sub-group of seven other specialist charities will be adding a range of responsive options to the CAMHS services: Oxfordshire Youth, RAW, Ark-T, SOFEA, Synolos, Trax and Banbury Young Homelessness Project (BHYP). All of these seven charities are working with Response to support our CAMHS Single Point of Access offers. Our neurodevelopmental conditions team will also work with Autism Family Support to help provide support groups to families after they have received a diagnosis. The new partnership offers a variety of venues across Oxfordshire, supporting young people aged 14-25yrs, and allowing us to better support those being discharged at 18 years. Six of the charities have a full time post to directly support low level work and holistic interventions for young people for mental health issues they may be having. The post-holder at RAW, BHYP, SOFEA, Synolus, Trax and Ark-T will work directly with young people referred to them through our new CAMHS single point of access. Oxfordshire Youth will also provide mental health awareness training on behalf of CAMHS to schools and third sector organisations. Our centralised single point of access service will deal with all referrals made to the Oxfordshire CAMHS Partnership, assessing each person’s needs and directing them to the right support to get them feeling better as quickly as possible. Our new in-reach role will also be able to offer one-to-one sessions or access to a variety of therapeutic activities designed to aid the young person’s recovery, and give them the right skills to help them manage their own mental health in the future. Ark-T offers an open and inclusive space where people can explore their creative and artistic talents and develop their emotional and mental resilience. The charity works with people who are experiencing prejudice, social isolation and exclusion and those who may feel they are voiceless and invisible. With dance and drama studios, play areas, art studios and outdoor spaces, Ark-T is a creative haven where people can express themselves and grow. 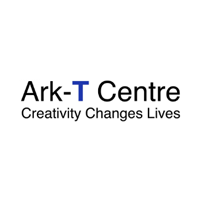 Ark-T is also a very community driven charity and frequently holds events inviting local residents and professionals to mix and enjoy art and socialise, while promoting social inclusion and community wellbeing at the same time. They believe everyone has a way of using art to express themselves, and that developing this can help promote stability and mental wellbeing. This is a popular charity for young women and adds a well-received additional element to the group working with CAMHS – Creativity Changes Lives. Autism Family Support Oxfordshire use an understanding approach, expertise, and a lot of fun and care to support the development and wellbeing of children and young adults on the autism spectrum, as well as their families. Oxford Health CAMHS and Autism Family Support already have a long working relationship, with the. Chinnor Unit starting in the 1970s and Autism family support specifically in 2002. The charity supports approximately 1,200 families, and provides a specialist support service for professionals, parents, carers and young people with autism. 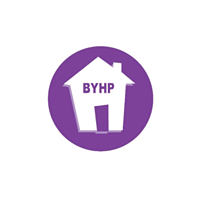 While it is better known for its work supporting homeless young people, BYHP is actually an organisation that supports anyone who is disadvantaged or at risk of becoming homeless. BHYP was founded in 2001, and continues to be a strong part of the community in Banbury. BHYP work with many young people, offering a variety of ways of supporting them through difficulties. They offer counselling and wellbeing sessions, and now have a CAMHS-funded position that will promote their mental-health linked work, including assisting diagnoses and maintaining well-being after a diagnosis. BHYP are very well known in the local schools in/around Banbury, and have an excellent reputation for working collaboratively to support young people. 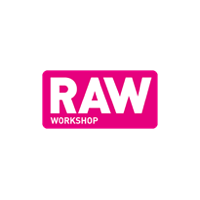 RAW specialises in offering support and training to people (including those with mental health problems, learning disabilities and addiction issues) in their wood workshop, retail shop and wood recycling enterprises. Central to their ethos is that people need a sense of belonging and a vibrant environment in which they can begin to flourish. Working closely with the local community, RAW prides itself on breaking down the stigmas associated with mental health and creating an environment in which people can thrive. It offers a welcoming and inspiring environment for young people to be creative and develop a broad range of skills and products which they can be proud of. RAW are passionate about working closely with young people, promoting their mental health and wellbeing, and also reducing the stigma attached to mental health concerns/diagnosis. Response is the lead charity in this newly formed partnership: they are responsible for managing all the other organisations involved. 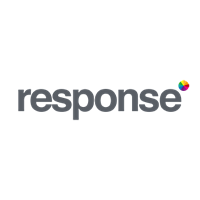 Response has been working in Oxfordshire for many years and is very well established and respected. It offers a range of services for people with mental health issues, from general support and homecare, through to substance misuse services and learning and education; their mission is to enable people with mental health problems and complex needs to live their lives to the full. Response have been working with Oxford Health services for adults for some time now, and we were very excited to have them on board with our partnership. 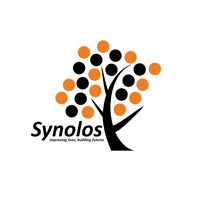 Synolos is an innovative organisation in Witney: it continues to be run by its founder since it started in 2010, helping guide young people into employment, self-employment, voluntary work or further training. Synolos’ founder, Barry Ingleton, won Witney Citizen Of The Year 2017, because of impact that Synolos has made. Synolos aims to empower and build better lives for young people by recognising the benefits of treating and supporting mental health, and by offering accredited training programmes for young people (especially vocational training). Programmes include woodwork, painting and decorating, photography, and many others. Synolos also has a shop which raises funds by selling products made by their students. The charity have recently moved to large new premises on Station Lane in Witney, and they have developed an exciting work and training space for the young people, including rooms to be used for consultation, reflection and mental well-being work. 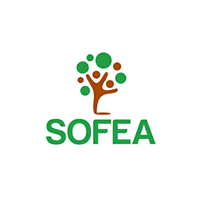 SOFEA offer a combination of academic, practical and therapeutic support, with an emphasis on sustainability and the community they operate in. They work with young people to build their employability, while providing nutritious food for those in need. SOFEA works to improve employability by running training courses for young people which can lead to qualifications, as well as improving practical skills, confidence and self-esteem. In addition to providing good food, SOFEA run an innovative and dynamic food recycling project: they receive food in-date, excess food from large companies such as Tesco’s and Waitrose, and distribute this to community groups, charities, families and community projects. SOFEA’s food delivery vans sometimes makes two runs a day, and the project provides core supplies to some of the most vulnerable people in Oxfordshire. Trax has been going for 25 years. Based in central Oxford, it offers training and courses to young people who have struggled with mainstream education due to the difficulties they are going through. The charity has and continues to support children from across Oxfordshire. With courses ranging from cookery to mechanics, Trax aims to make a real difference to people’s lives, by providing practical skills for their future. 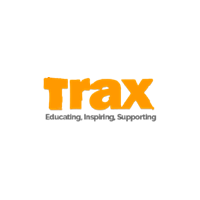 Trax are very well known to secondary schools across Oxfordshire, and very well regarded with teachers, who work closely with Trax staff to provide targeted support to young people. Trax also now provide an excellent catering service, using the skills of their students studying catering. They cater for large and small private functions: Oxford health and CAMHS have supported this by using their catering for some of our events, and we found their service, creativity with menus and quality to be excellent. Trax also offer a student-led service selling restored bicycles or have one made to order. As with the other charities, Trax has always been keen to support the mental wellbeing of the young people using their services, which has made integrating a CAMHS worker within the organisation a natural addition to their services. 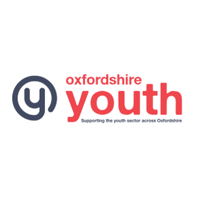 As a membership organisation, Oxfordshire Youth provides training, advocacy, resources and events to its members and directly supports young people to improve their life opportunities. They have a reputation for providing excellent and innovative training, high-quality resources and experienced trainers. Oxfordshire Youth’s vision is for all young people in Oxfordshire to be empowered, feel respected and know that they are valued, and their mission is to build a resilient youth sector that provides high quality services for young people across Oxfordshire.